Did you happen to catch one of the live Demos at the Fusion Industry Expo? 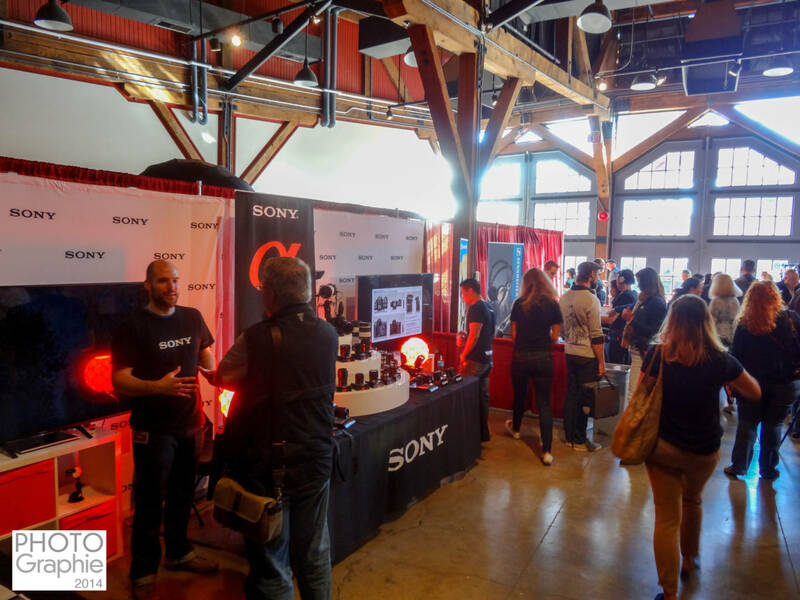 People loved them, along with getting their hands on all the great new gear! The day was pretty packed with back to back Fusion Seminars and we overheard some really positive comments. Check this one… “Verrry interesting to hear the stories behind the scenes on how those images were created! I learned a lot listening to ‘how it’s done’ in the real life of a photographer.” Tons of positive reviews followed about learning how to print your own images, use off-camera flash and improve sports, travel and pet photography. Saturday evening, the Anvil Centre was magically transformed into the Canon Gala Event. After a delicious 3 course dinner, there was a festive awards ceremony, where some of BC’s finest photographers were awarded trophies for their images. Anna Beaudry won BC Photographer of the Year, Hunter Will won BC Student of the Year, and the winner of the VanArts Youth Contest was Ian Harland who took home a Nikon D7200 Camera. See all award winners here! It was paparazzi central in the Sweet Victory Celebration afterwards while guests bid on great silent auction items and sipped bubbly. [Not a valid template]Thank you Debbie Malm for the photos! Bring printed or mobile tickets for entrance to all events. If you can’t find them, log in to Eventbrite and you can resend your original ticket confirmation. Once received, click “Download” or “Paper Tickets” to see the tickets you purchased and to see your Fusion Seminar choices. Let us know if you are unable to attend ANY part of the festival so we can let someone on the waitlist enjoy the programming. Help us fill your empty seat! Directions here. Park under the Anvil Centre for $10/day. Entrance gate is locked at 11pm; so if you plan to leave Anvil, take your car with you. For Saturday’s Sweet Victory Celebration your car can stay after 11 because you will still be in the building. Local restaurant map attached. Find EventsXD in the App store and search PHOTOGraphie to have all the latest info on your phone including speaker bios, floor plan and full schedule. Good paperless option. Please use EventsXD to give feedback at each event you attend, this will help us make PHOTOGraphie 2017 even better! You can watch or participate. 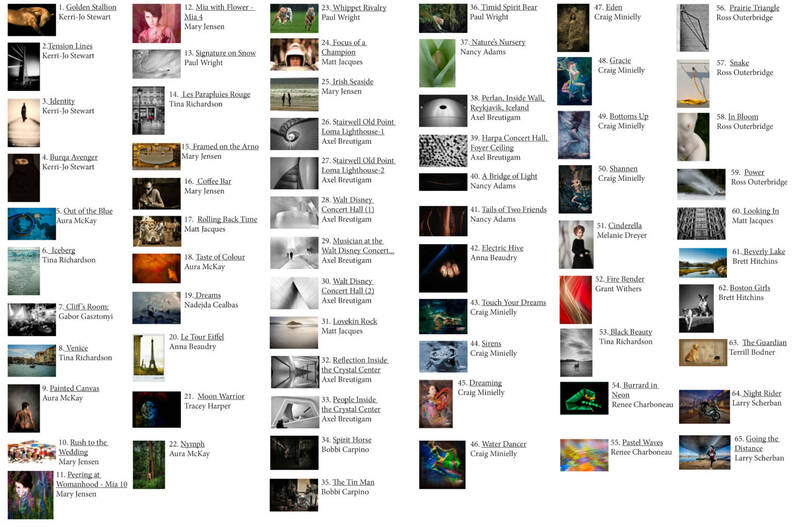 To participate, bring 15 images for evaluation, on a flash drive, all in the same category (ie: animals, wedding, fashion). Important details here. See categories here get PDF notes here. 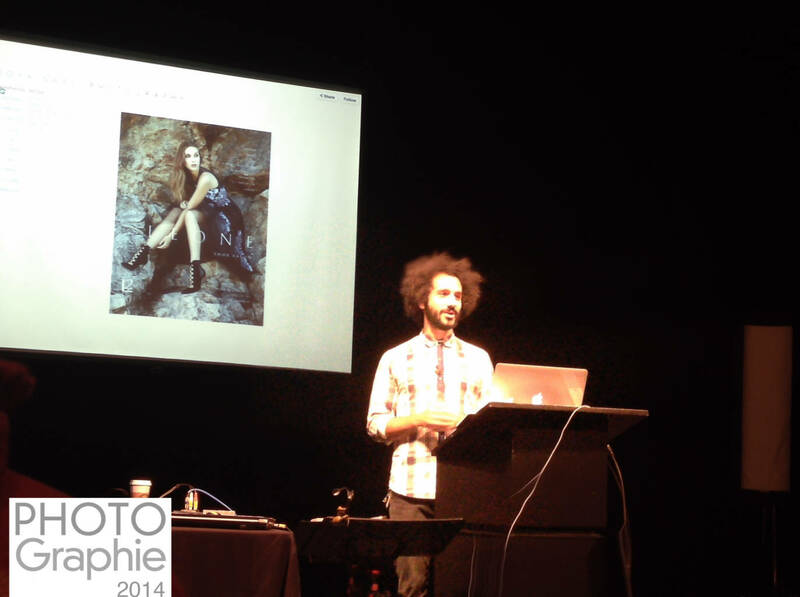 The Fusion portrait class with Nino is close to sold out on Saturday; Nino is a hot speaker! But there are still tickets available to see Nino’s keynote presentation on Sunday. It will be a full day of street & editorial photography, lighting people, marketing and inspiration. Jeff Weddell is a new addition to Fusion, speaking for Robert Falconer who is no longer available. It is the same subject, shooting cinematic stills. Sorry for any inconvenience. Contact Beau Photo if you have any concerns. Tickets still available so tell your friends and family. I remember pressing the shutter release on the first photo I ever took. My Mom had given me a camera to take on a grade 6 field trip, and when we got the print back you could hardly see the tree, let alone the eagle landing in it. Since that moment it has been an ongoing quest to capture what is seen by the human eye in the two dimensional world of the photographic image. The way light plays off a subject, travels through the lens and dances on the surface of the recording medium captures a fleeting moment that is meant to tell a story. For me, the most important moment is when the shutter is released. Be it a person, still life, or the emotions of a scene for film or tv, it is the essence of that moment that needs to be conveyed to the viewer of the final image. That fleeting eagle image was in 1971. After completing a commercial arts program in college, I began working in the industry and have since had work appear in annual reports and magazines around the world. During the last decade I’ve been working in the film and television field capturing production stills and gallery portraits that have traveled the globe. Every time I see an eagle, I remember that first image. 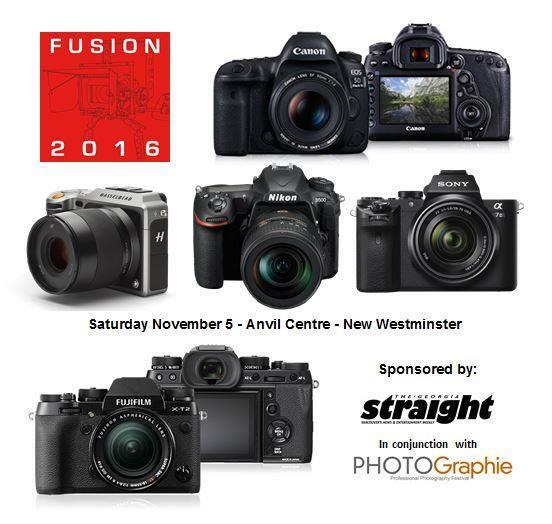 Once again, the fantastic Fusion 2016 Seminars and Industry Expo are returning to PHOTOGraphie and WOW what a line up of great talent! Brought to you by Beau Photo, these popular 90 minute seminars fill up fast so be sure to save yourself a seat here. Use PPOC2016 as a discount code to get 20% off tickets!